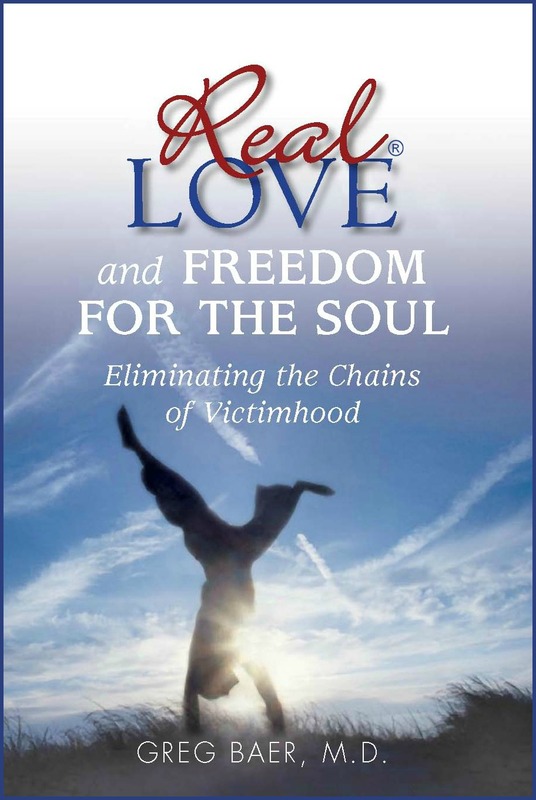 Real Love and Freedom for the Soul: Eliminating the Chains of Victimhood, by Greg Baer M.D. “This book nailed me to the wall! It has given me the power to change the way I believe, the way I feel, and the way I behave toward others. I’m very grateful." Real Love and Freedom for the Soul is also available for the Amazon Kindle here.